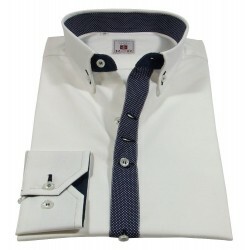 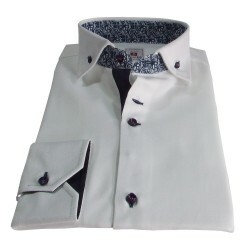 Shirt in patterned fabric with Italian classic collar. 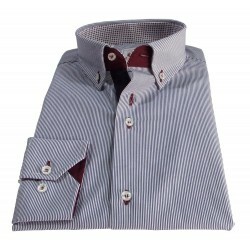 Burgundy buttonholes and contrast with white buttons. 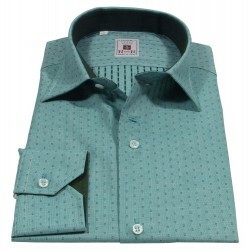 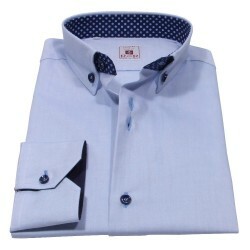 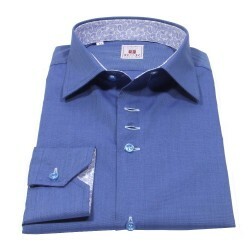 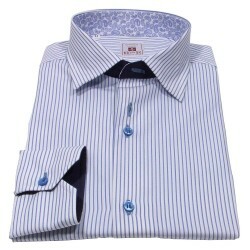 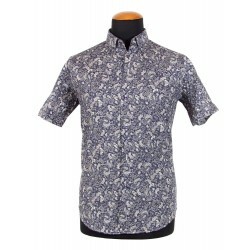 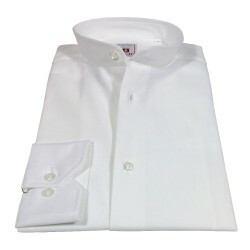 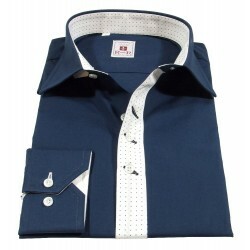 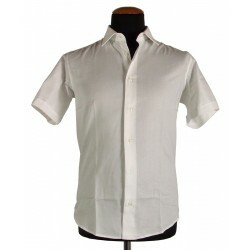 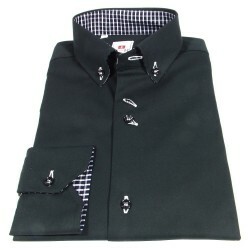 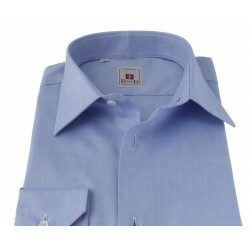 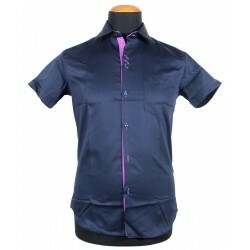 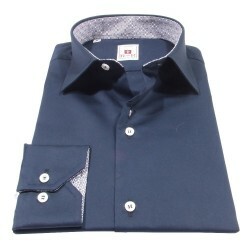 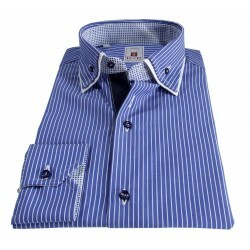 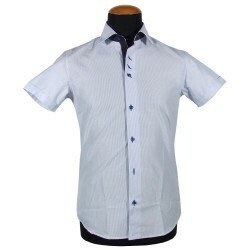 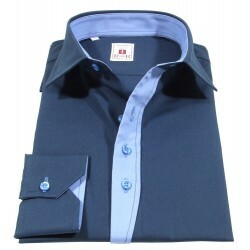 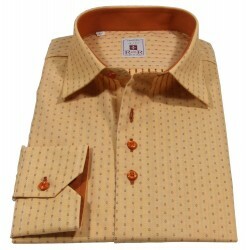 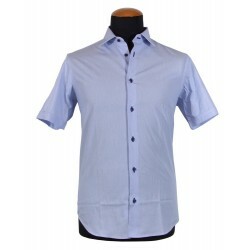 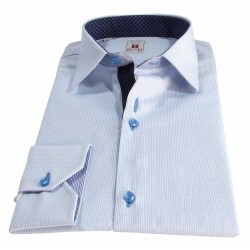 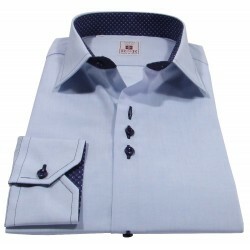 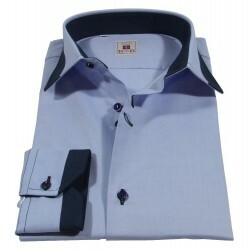 Men's shirt in patterned fabric with Italian classic collar. 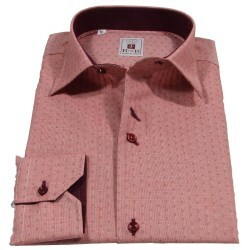 Burgundy buttonholes and contrast with white buttons.